Posted on April 17, 2015 by Ching under Family, Food and Drink. 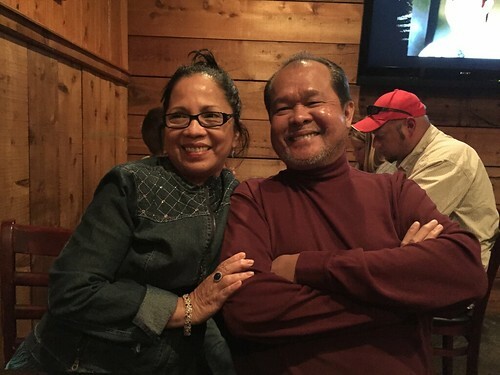 And we take a break from all of the DC blog posts to show you pictures from dad’s 60th birthday dinner at Cy’s Hoof & Horn. They say that it’s better to spend money on experiences rather than buying things so rather than buying a present for dad we opted buy dinner for the family instead. For dad’s birthday Brian and I took mom, dad, and Jenni to our new favorite place to eat steak. Jenni got the filet mignon, which is what I had the last time. 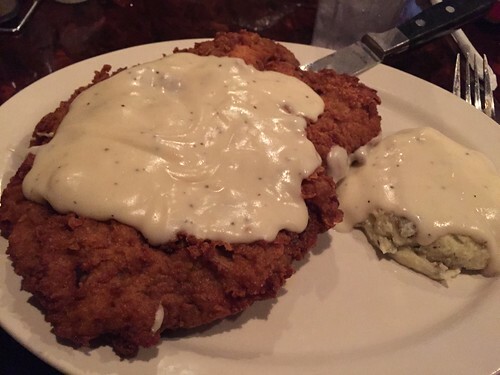 I thought it was good but I really, really liked Brian’s chicken fried steak so I ended up getting the chicken fried steak this time around. 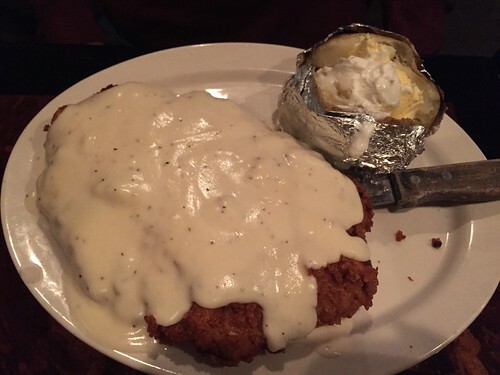 Brian and dad both got chicken fried steak also. I don’t know why we each had to get one, all three of us could have shared one piece. 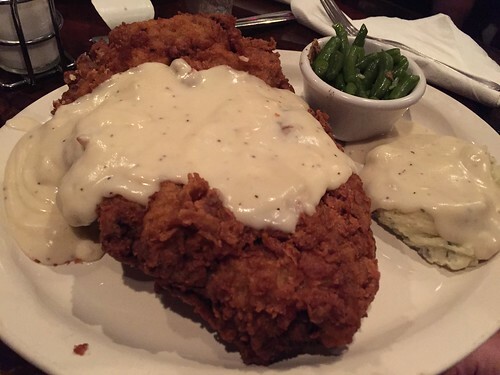 The chicken fried steak portions at Cy’s are enormous. 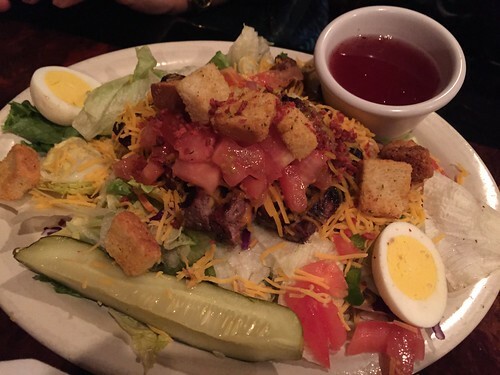 Mom got a steak salad. Only my mom would get a salad at a steak place. LOL. At least her salad was topped with slices of beef, I guess. Brian and I can’t wait for his mom and dad to visit because we want to take them to Cy’s also. Now that we’ve discovered Cy’s we just want to bring everyone there. 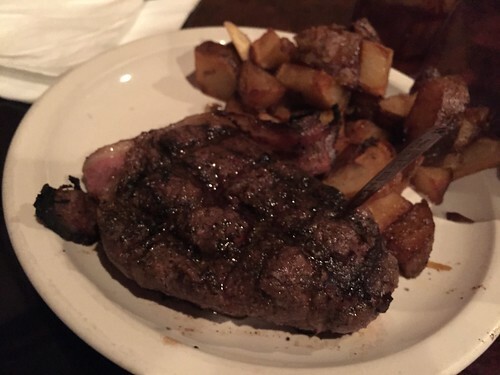 Cy’s isn’t just a great place to eat steak, it’s a great place for a nice family dinner. I hope dad enjoyed his 60th birthday dinner just as much as we did.